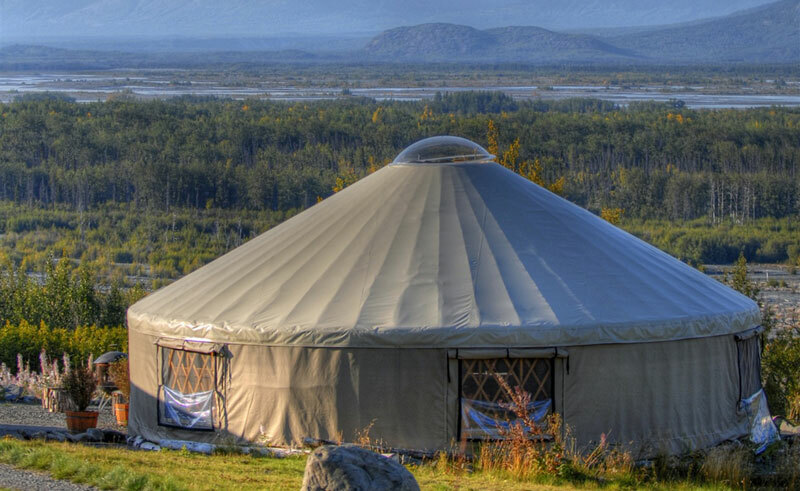 Found only an hour by car from Anchorage, the 22-cabin Knik River Lodge is a well kept secret, sheltered in the heart of the Alaskan wilderness. With all cabins supplied with private bathrooms, hot showers, TV & DVD player, microwave, mini-fridge and coffee maker the Knik River Lodge is ideally located close enough to many of Alaska’s highlights, yet tucked away in its own corner of the wilderness. With a full deck fronting each cabin, there is plenty of space to relax while watching out for the area’s resident moose and dall sheep, or listening for the great horned owl in his favourite lookout tree. A variety of activities are available to fill the day, including dog sledding, helicopter tours and glacier hiking and climbing. Meals are served in the onsite Ravene’s Perch restaurant which has sweeping views over the incredibily scenic surrounds. This property is only open in the summer months.